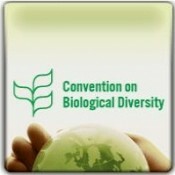 The United Nations Convention on Biological Diversity is holding a key scientific meeting in Montreal this week to examine everything from the integration of forest carbon into biodiversity to ways of better managing scientific information to the promises and pitfalls of geogenineering. MONTREAL | 1 May 2012 | UN Biodiversity boss Braulio Ferreira de Souza Dias called for better management of existing scientific data in his opening address to the Sixteenth meeting (SBSTTA-16) of the Convention on Biological Diversity’s (CBD) Subsidiary Body on Scientific, Technical and Technological Advice , which began on Monday and runs through May 5. He welcomed last week’s creation of the Intergovernmental Platform on Biodiversity and Ecosystem Services, and highlighted several efforts to coordinate information flows more effectively. The big news on today’s agenda, however, is forest carbon. That’s because the CBD is aiming for a decision on how best to dock biodiversity efforts with REDD-plus (Reducing Emissions from Deforestation and forest Degradation, plus other activities related to sustainable forest management) evolving under the United Nations Framework Convention on Climate Change (UNFCCC). This has been a growing focus within the CBD for years, and began to pick up steam at earlier SBSTA talks in Nairobi. A decision on how to incorporate REDD-plus is expected at the CBD’s October 2012 Conference of the Parties (COP) in Hyderabad, India, and this week’s talks are meant to inform that decision, which in turn will feed into year-end climate talks in Qatar from 26 November to 7 December 2012. Other agenda items include geoenegineering and supporting global taxonomy. In the past 18 months, the CBD has been actively engaged in regional workshops that focus on the synergies and possible gaps between the UNFCCC-directed REDD-Plus initiative and the broader CBD effort to conserve and utilize biodiversity while attending to the rights of indigenous and local peoples. Delegates here are especially primed to deliberate on the “Plus” of REDD-Plus, which refers to both the sustainable forestry and also the social safeguards for REDD. In fact, in the lead-up to SBSTTA, the CBD’s workshops and literature looked at the three major REDD social guidance programs – the World Bank’s Forest Carbon Partnership Facility’s Readiness Fund Common Approach to Environmental and Social Safeguards for Multiple Delivery Partners; the Climate Community and Biodiversity Alliance (CCBA), CARE’s REDD+ Social & Environmental Standards; and the UN-REDD Program Social and Environmental Criteria (SEPC). This SBSTTA meeting is shaped by the CBD’s sense as to how these climate change social safeguard programs cover CBD principles and how they do not. The gaps discussed usually regard whether biodiversity and the equitable management of its benefits is a priority for REDD-Plus efforts. Key CBD concerns include hasty REDD programs putting pressure on low carbon but biodiversity-rich areas (e.g. protecting the Amazon rainforest at the expense of degrading nearby Cerrado savannah ecosystem sites) and prioritizing carbon credit-generating forest restoration and plantings, while not taking into account the various ecosystem services that come with preserving and enhancing biodiverse ecosystems. Ecosystem Marketplace is following this week’s CBD SBSTTA, and will report on the meeting’s REDD + talks and decision at the end of the conference. Stay tuned !